I think and also truly hope it’ll be MS’s Ford Edsel. Not that I have anything against MS, but, you know, to keep the competition a little sane and imho somebody who wants to or is going to lead the pack should’ve gotten there by innovation and I’ve seen none of that for like… well, you know what? Good one! I wonder if more people will follow our example and create new versions of this photo. >I wonder if more people will follow our example and create new versions of this photo. 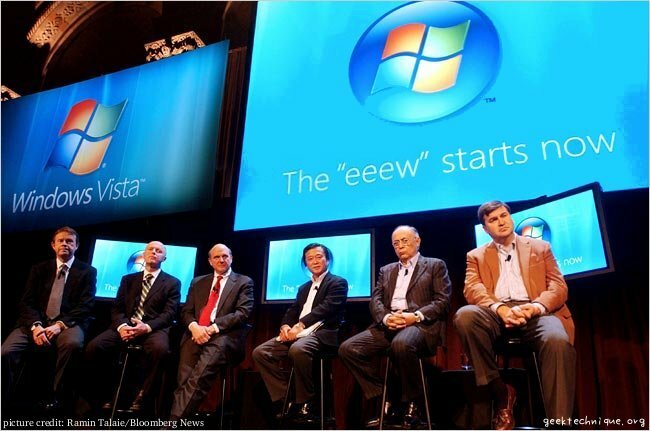 lol, Windows Vista? What’s that?